Our Fabric Cafe Banners are printed in full colour (single-sided, white reverse) and made from a specialist 240gsm outdoor waterproof fabric. Banners have stitched hems all round and can be provided with pockets top and bottom or pockets top and eyelets bottom – this enables them to fit any Cafe Barrier System available. We check your files for: Image Quality, Sizing & Format. All text must be converted to outline including in PDF files. Read Artwork Guidelines. We check your files for: Image Quality, Sizing & Format. You will be emailed an upload artwork link & artwork template files (if applicable). Delivery is via a 3rd-party courier, we cannot be held responsible for delays to deliveries which are out of our control. Looking great outside our bar. Much higher quality than the banners which came with our system, and much cheaper too. Fabric Cafe Banners are much more appealing than cheaper-looking PVC banners, for around the same cost. Fabric adds a touch of class to any establishment. They are just as easy to clean, hard-wearing and long-lasting. 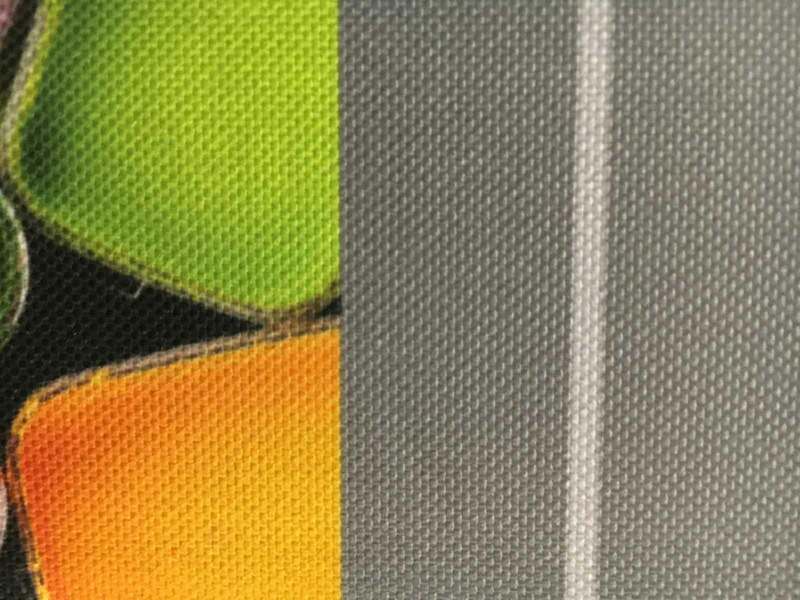 Our full-colour dye-sublimation print process provides eye-popping vibrant banners. Even plain colour fabric banners look better than their cheap PVC counterparts. Remember, less is more! Too much text or information can be off-putting and difficult to read. Stick with your venue logo or simple statements for cafe banners. As a venue owner, it may be worth speaking to suppliers, especially breweries – they have been known to pay towards cafe banners that display their brand logo. 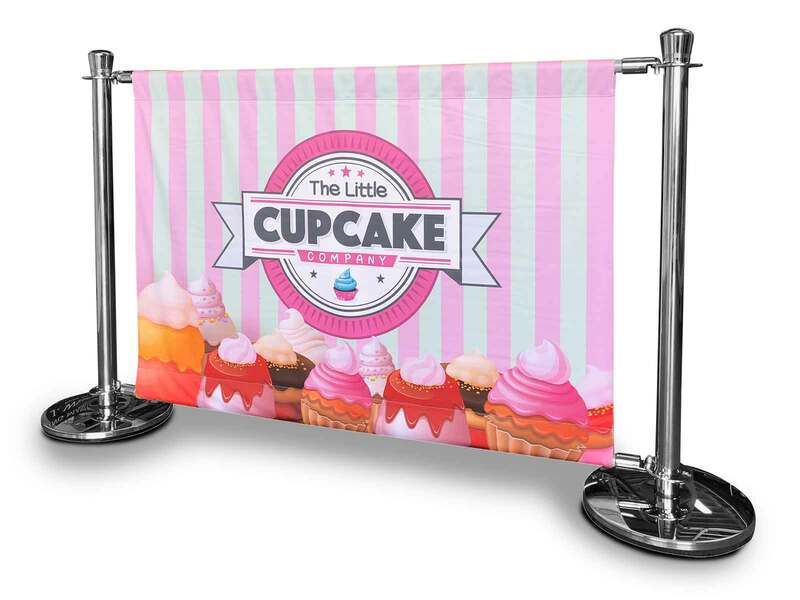 To order you will need to provide width and height measurements of your old cafe banners, plus specify the current finishing to comply with your cafe barrier system. There are no currently no FAQ's for this item.